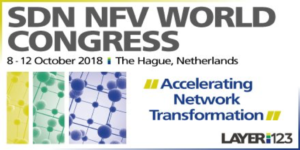 We are delighted to be returning to the annual SDN World Congress in The Hague next week and to be attending Intel’s Network Builders Summit on Monday October 8th. We’re very much looking forward to meeting up with old friends from the networking community and making new connections. Apart from catching up on latest developments and concepts in relation to SDN and NFV in general, their adoption in 5G, IoT rollouts, etc. we are particularly interested in the rapidly evolving network edge where advances in relation to SD-WAN and to uCPE deployments are accelerating all the time. The OpenDaylight SDN Controller network automation use case is another topic getting lots of attention from our customer base these days. If you would like to meet up in The Hague to find out more about what we do and how we can help or if you could just like to chat about the developments mentioned above, drop us a line at events@iricent.com or contact us at the show to meet up.